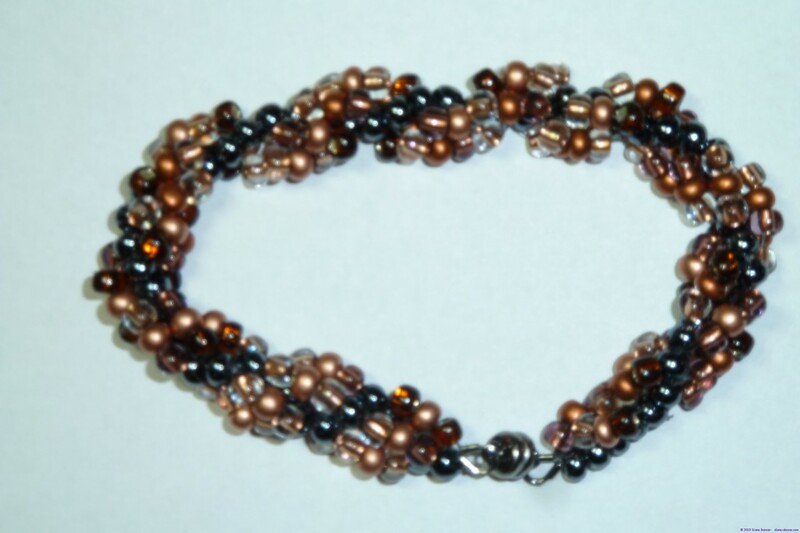 This is one of a series of bracelets that I created while at North Ranch, the Arizona Escapees Park near Congress. The gals there were very much a part of my entry into the world of beading. Each was based on a ‘beginner’ pattern provided to me, and then embellished or reworked to make it more ‘my own’. I’m not known for being a great ‘pattern follower’! This group of bracelets made great gifts at Christmas although I made sure to keep one of each pattern for myself! However, I must mention that this was my very first piece of beading!